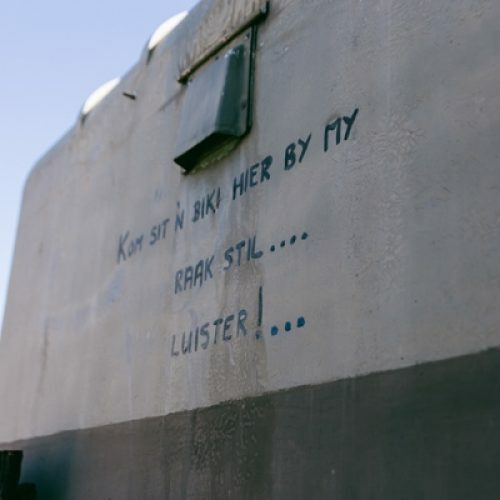 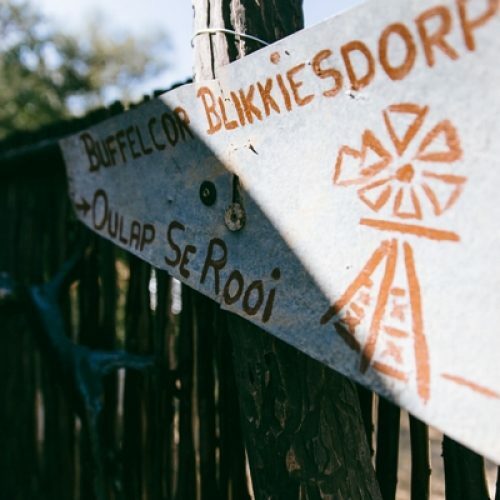 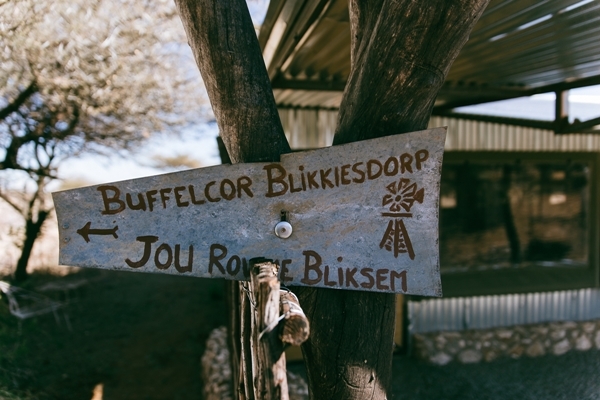 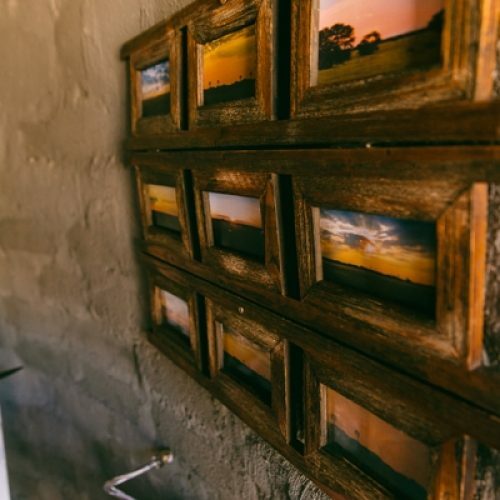 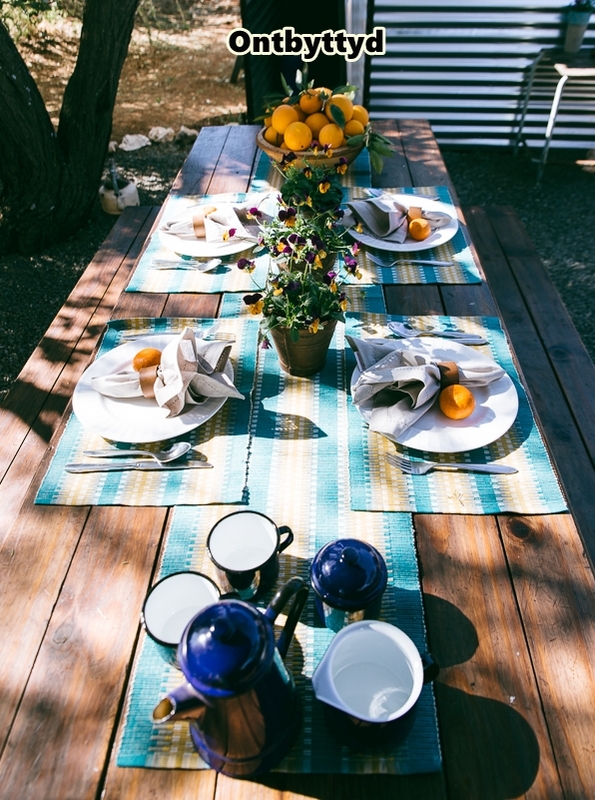 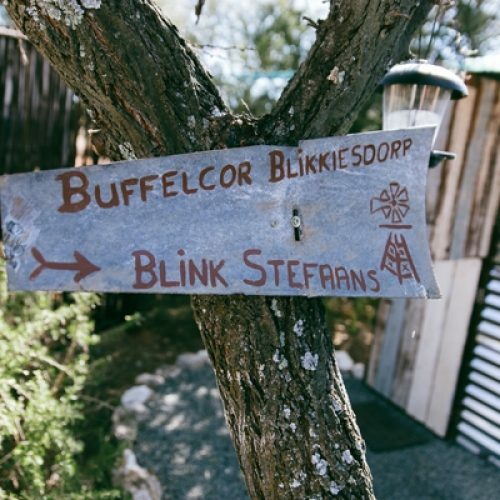 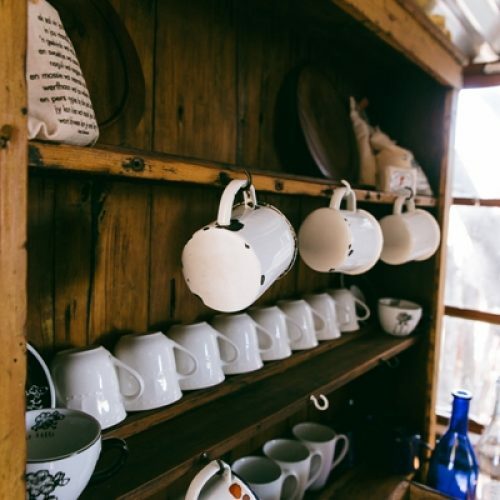 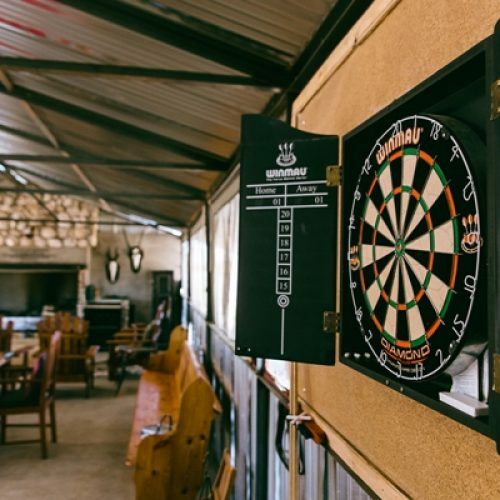 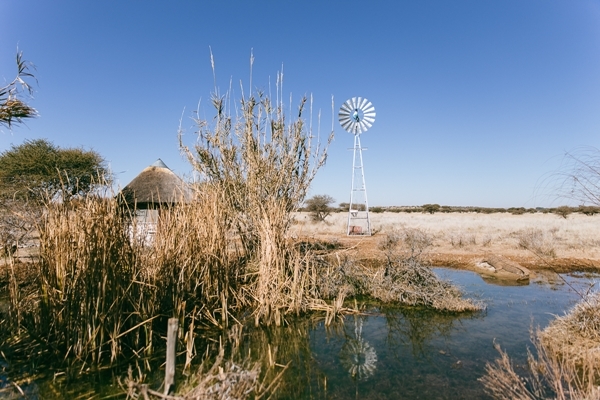 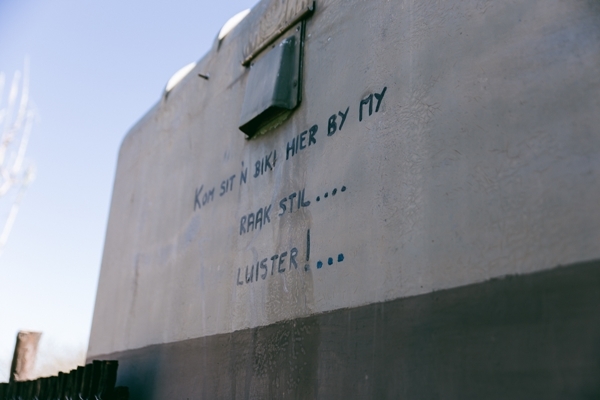 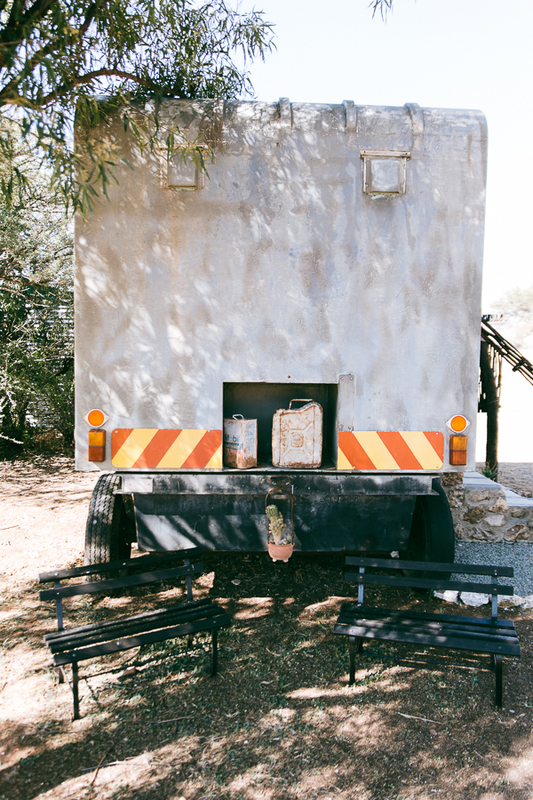 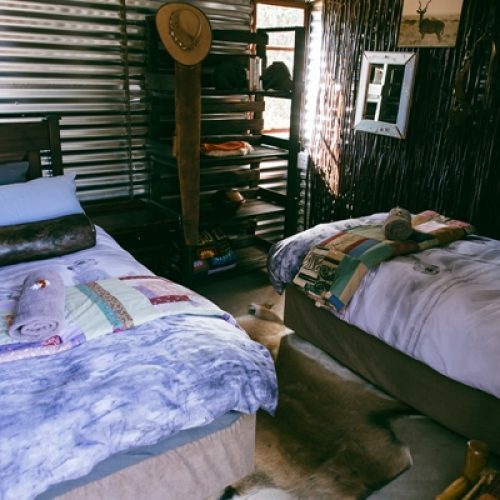 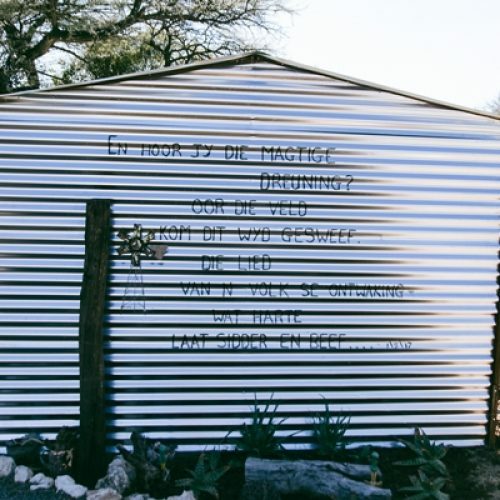 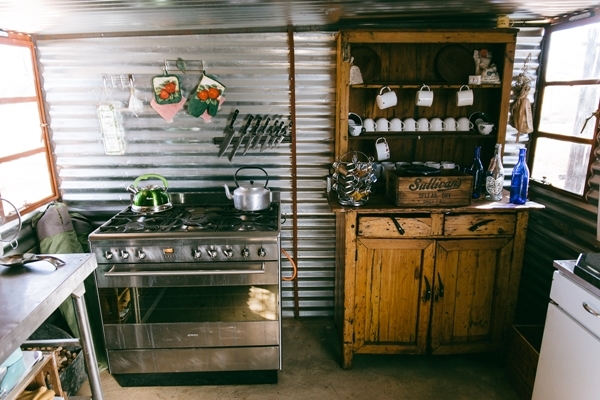 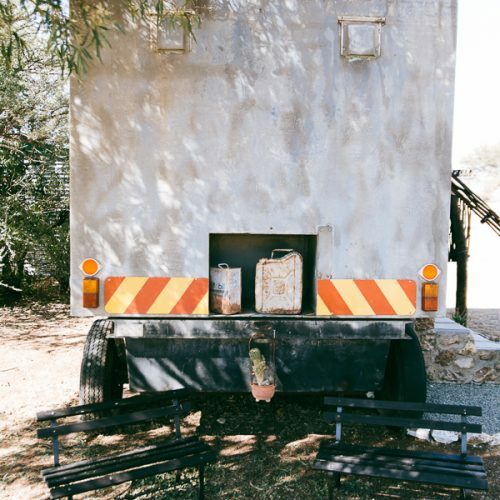 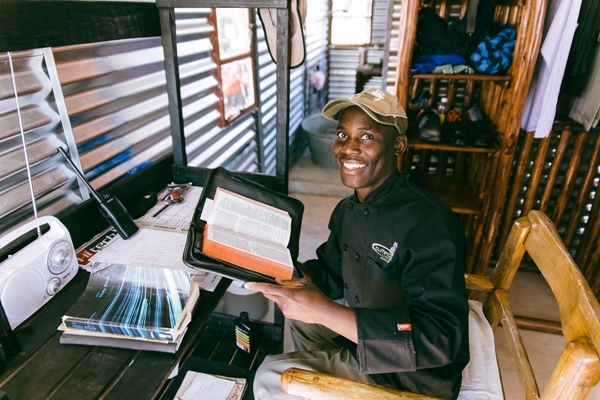 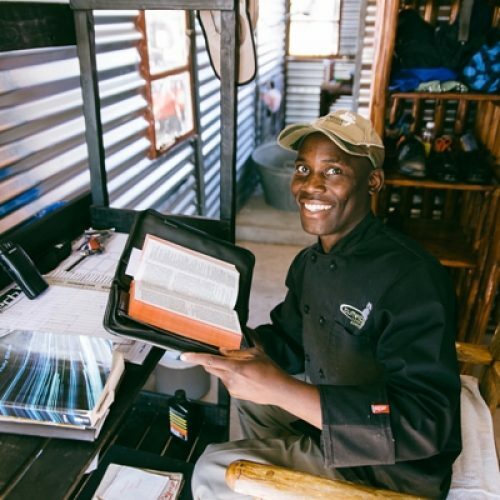 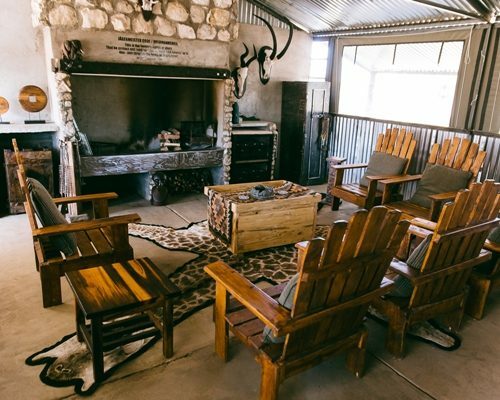 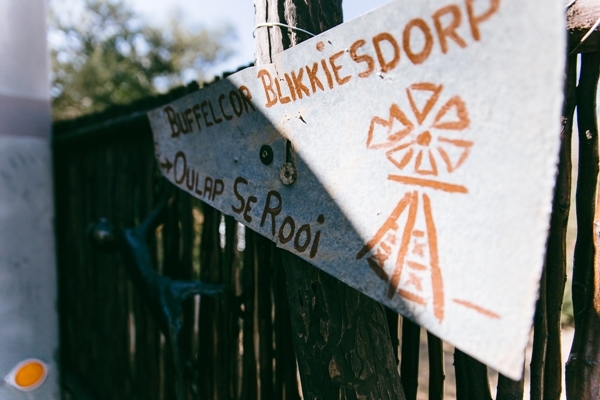 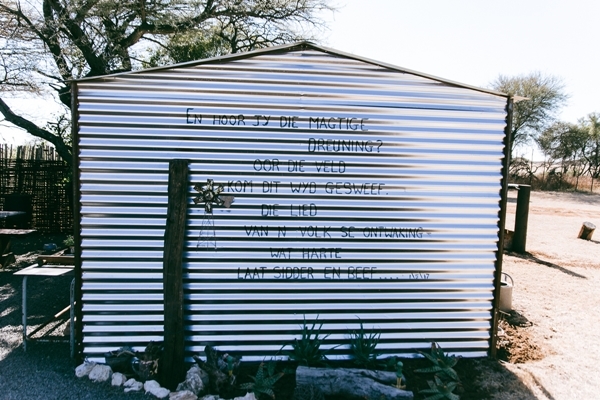 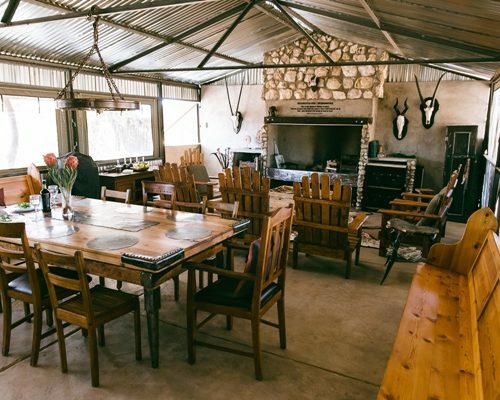 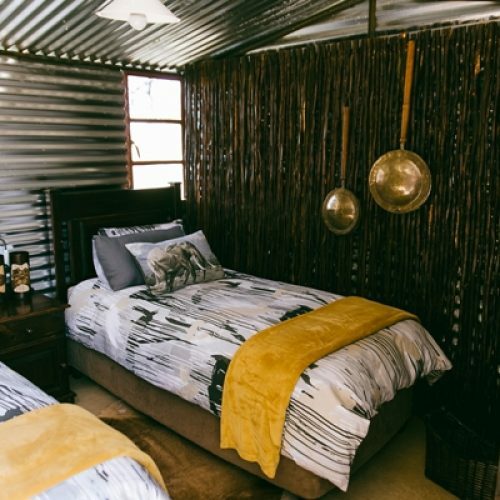 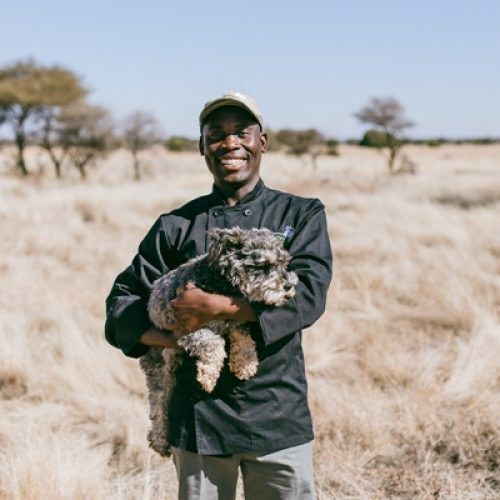 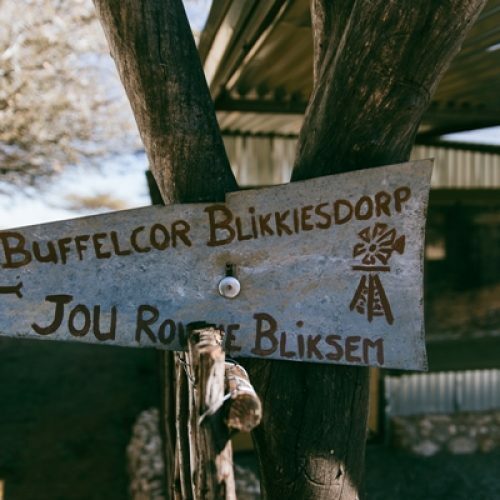 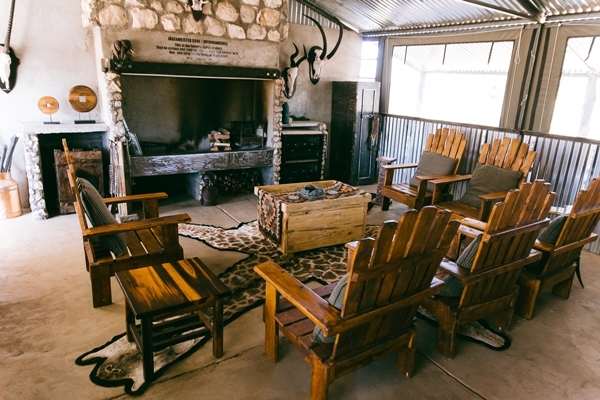 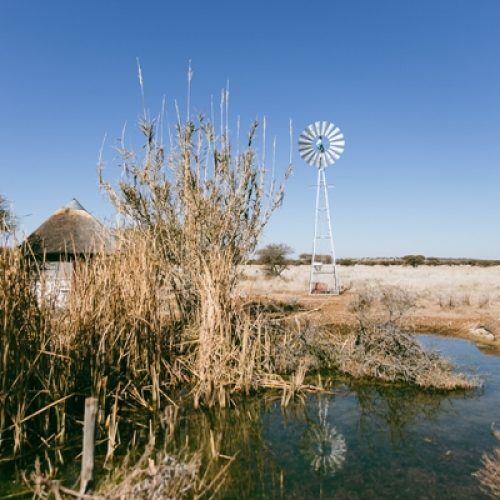 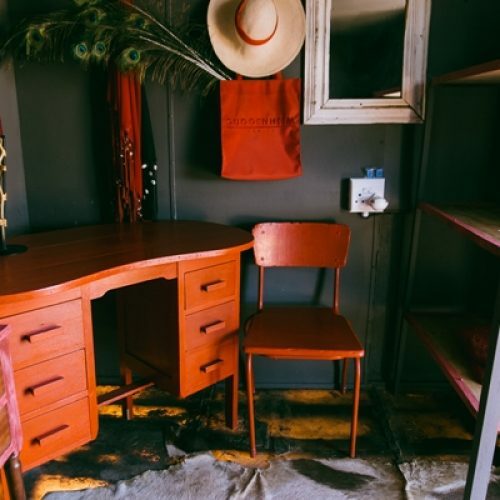 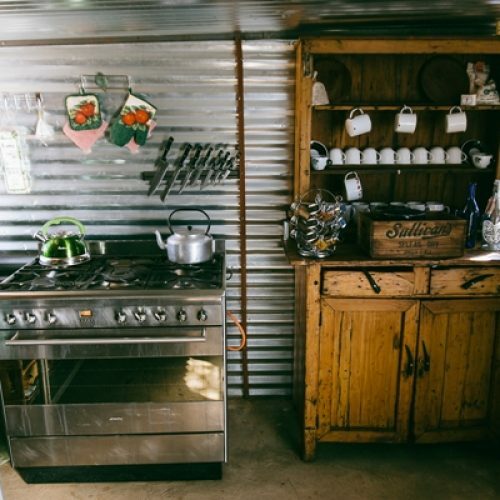 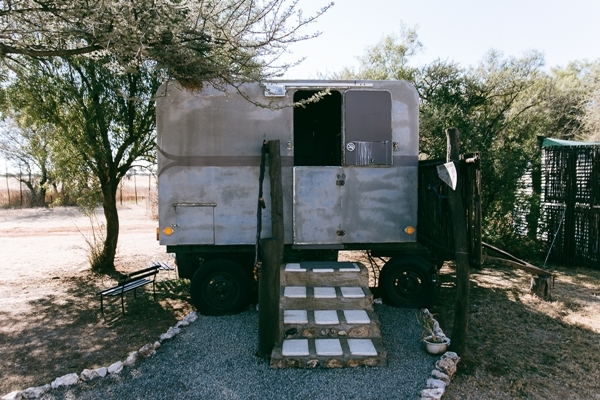 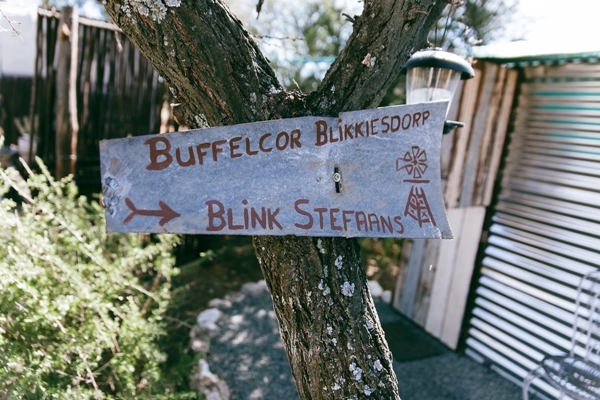 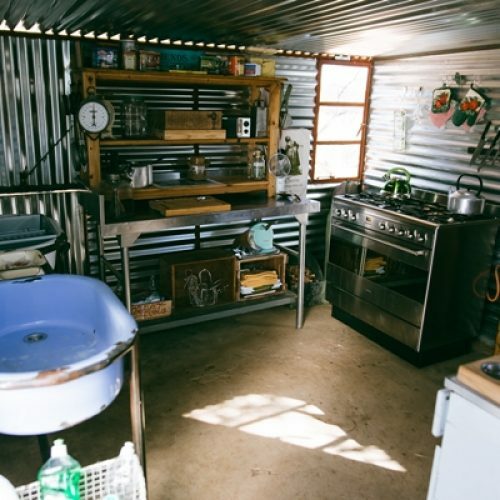 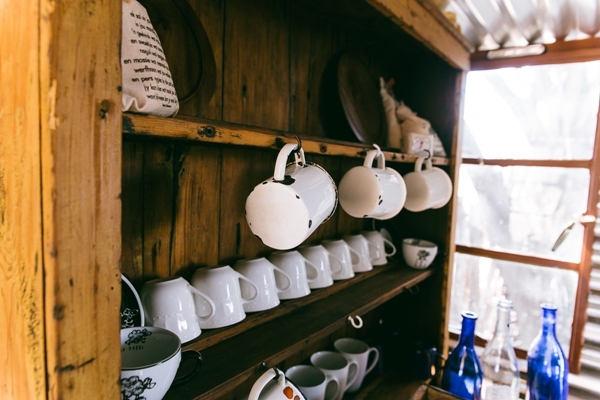 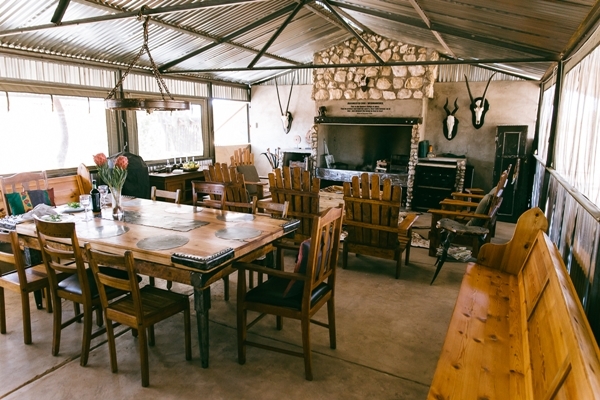 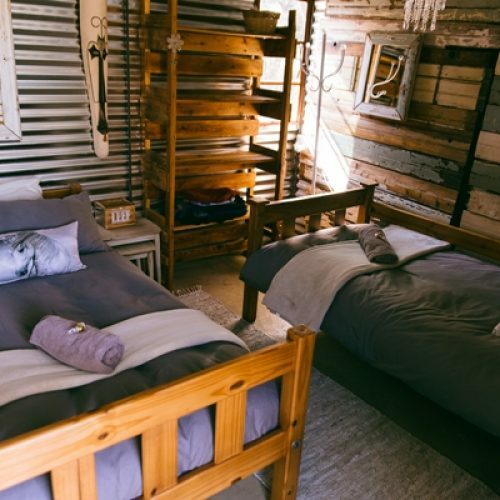 Enroute to Kimberley and just off the R64, Buffelcor Blikkiesdorp/Shanty Town is situated on the farm Langkop in the Boshof district. 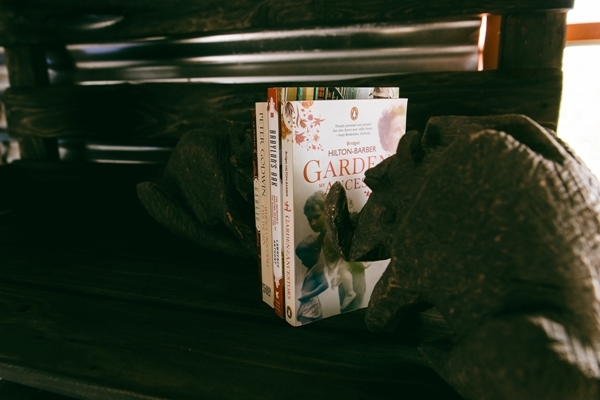 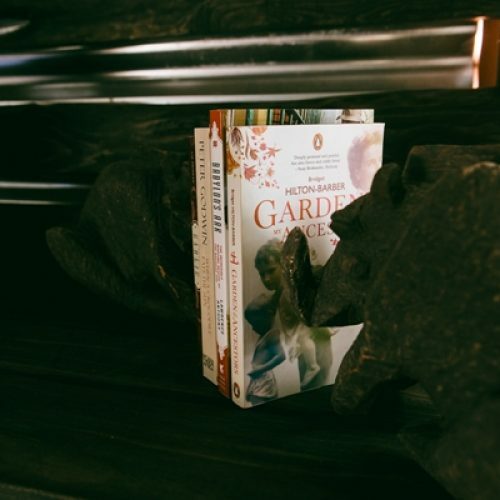 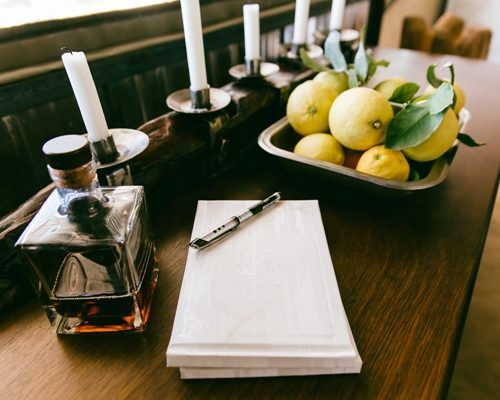 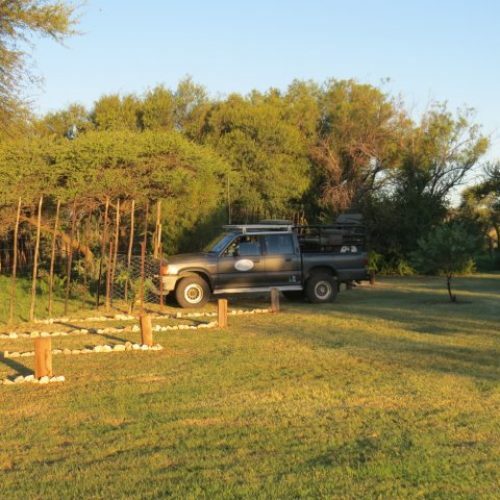 Our intention with this development was to integrate the accommodation with nature as best we know how. 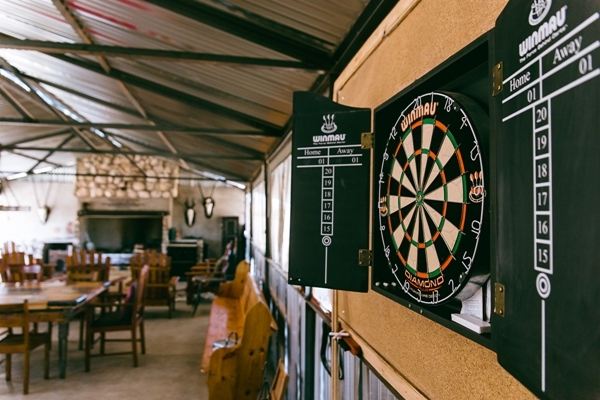 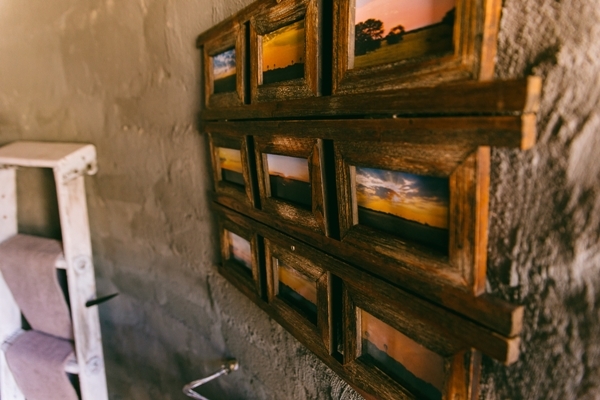 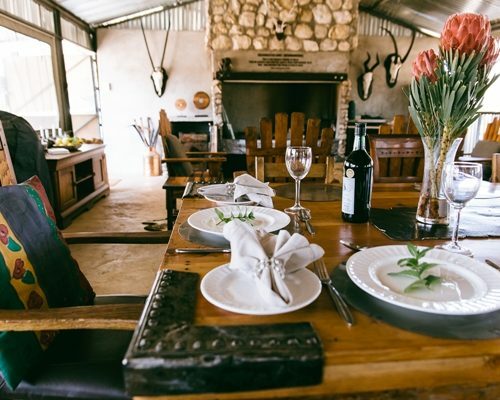 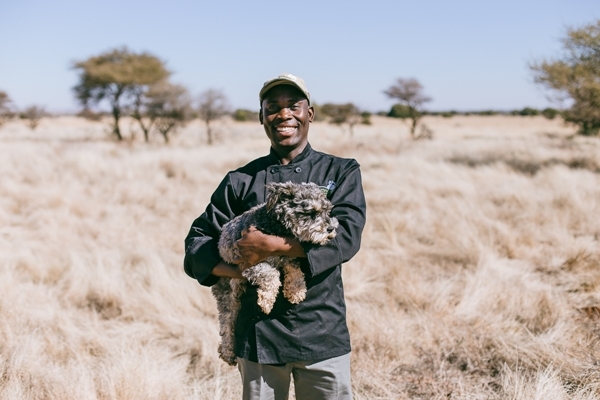 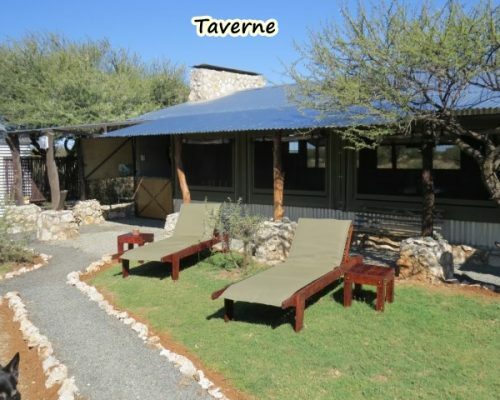 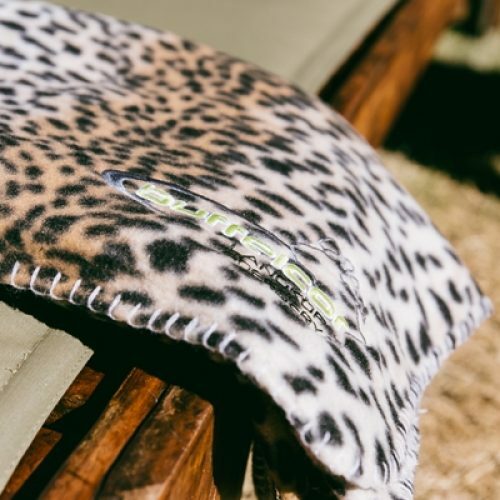 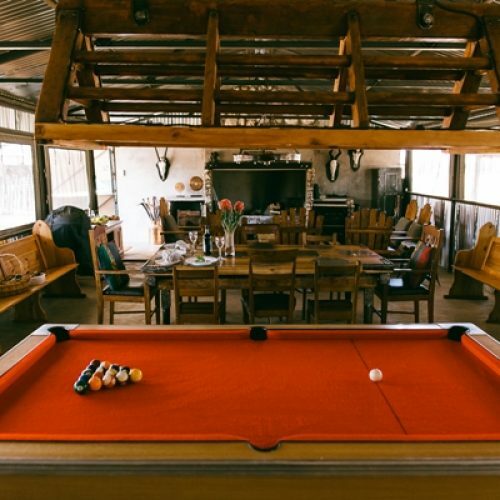 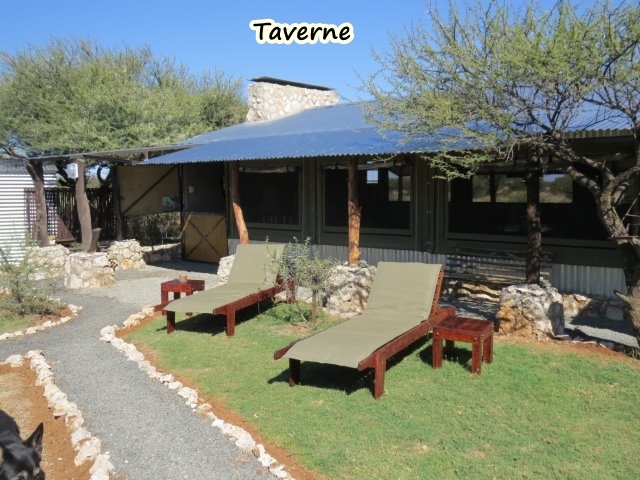 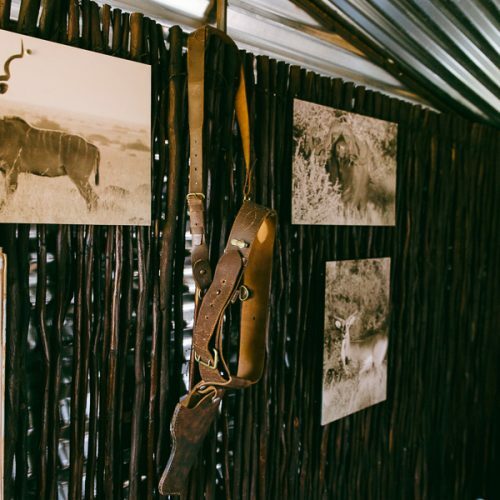 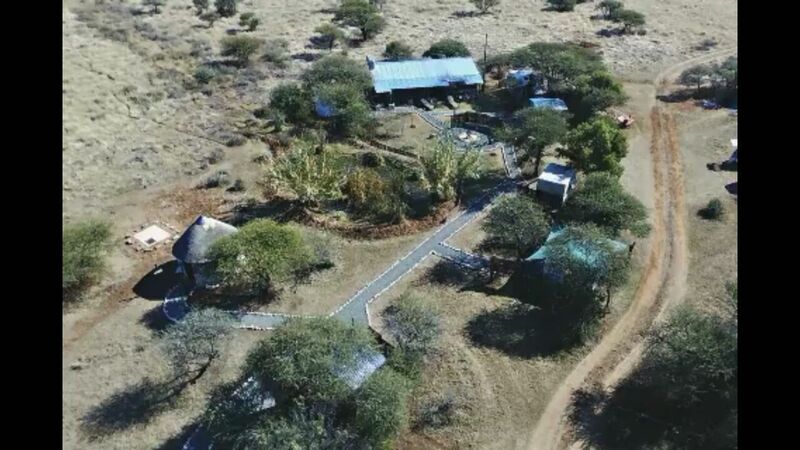 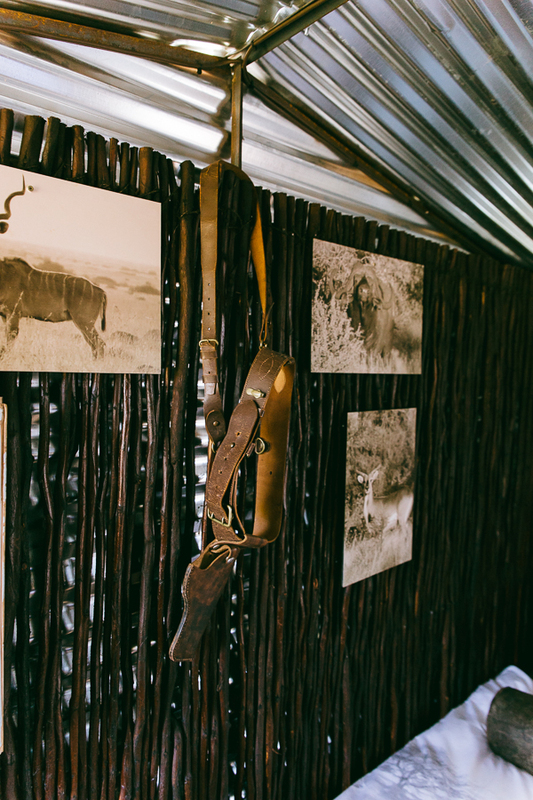 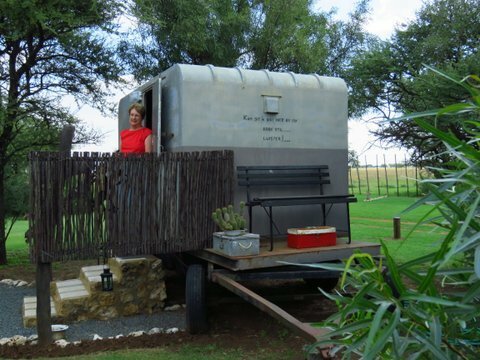 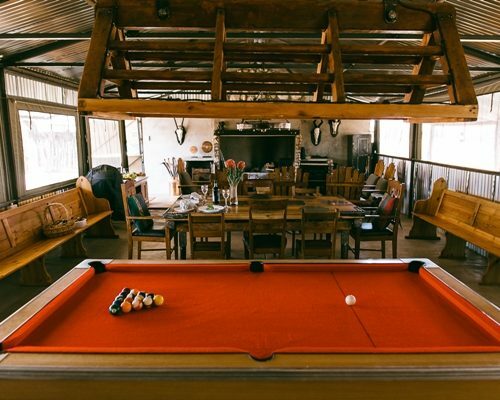 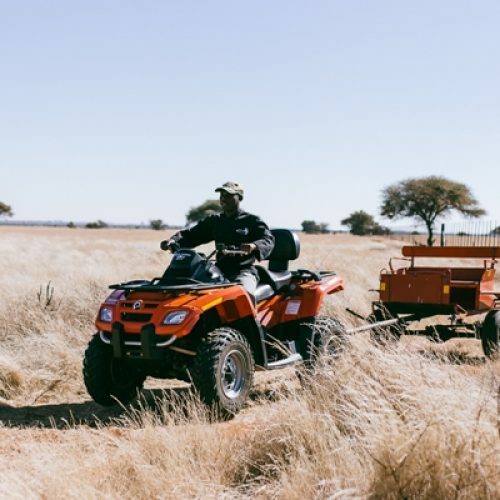 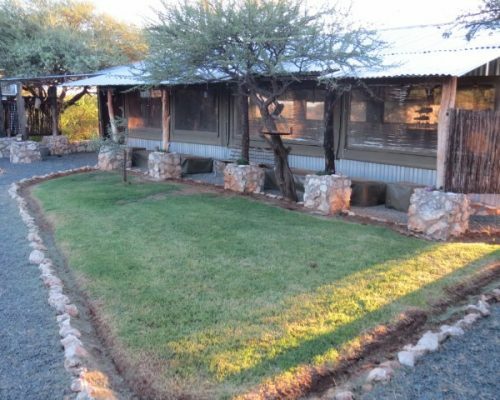 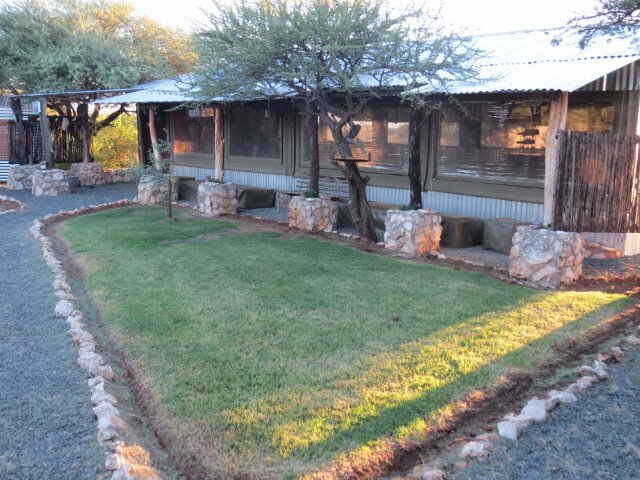 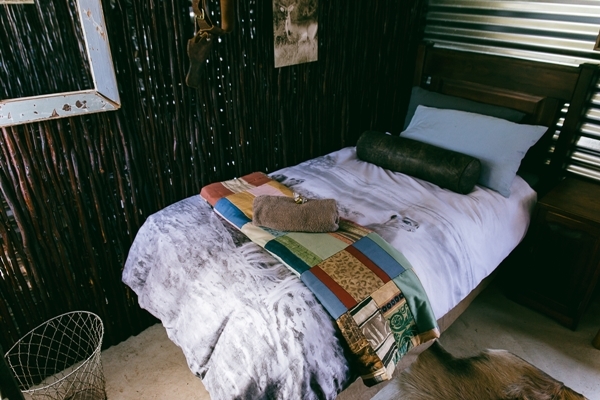 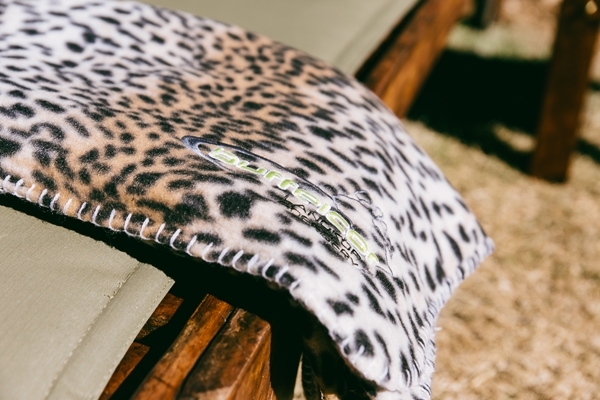 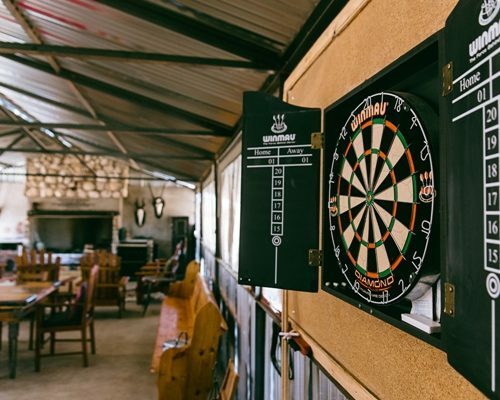 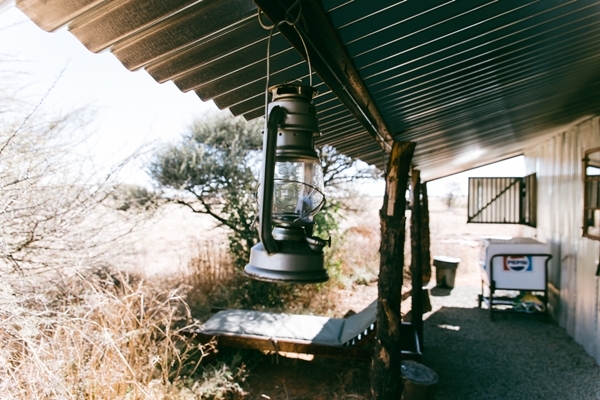 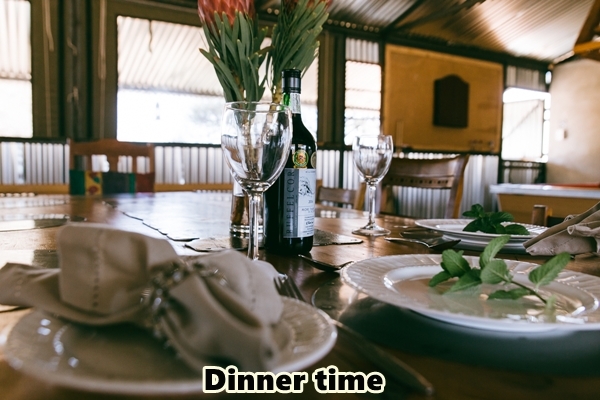 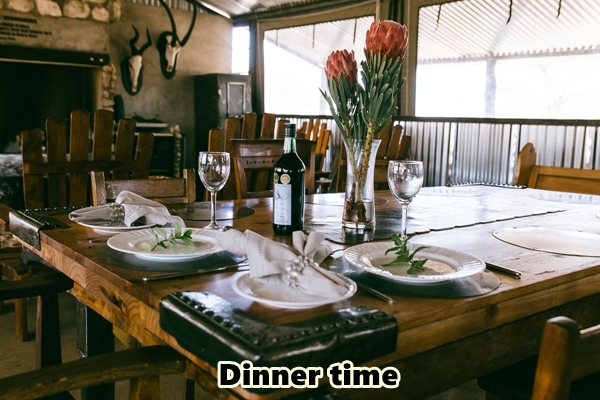 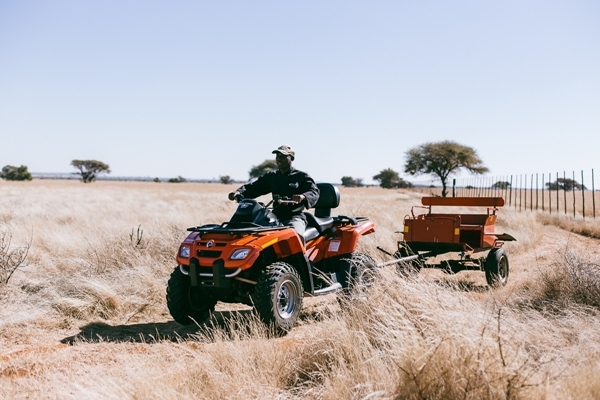 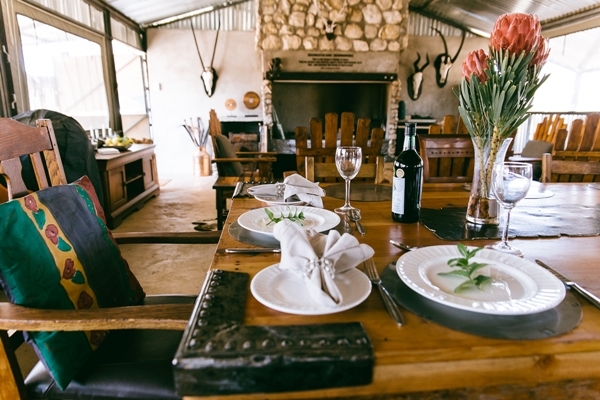 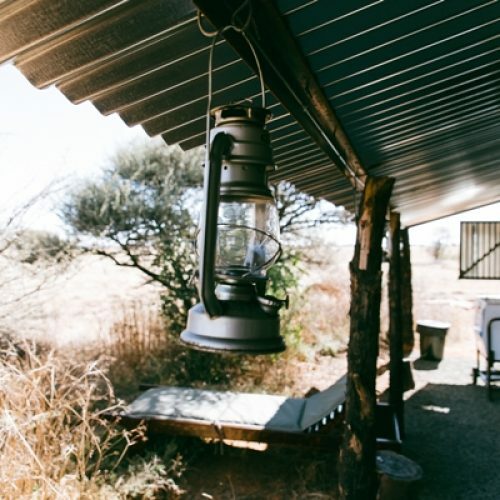 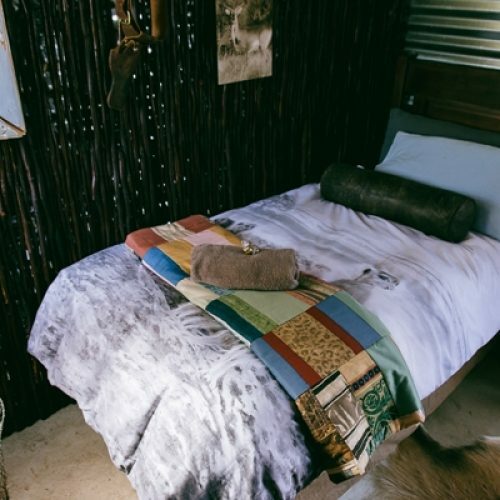 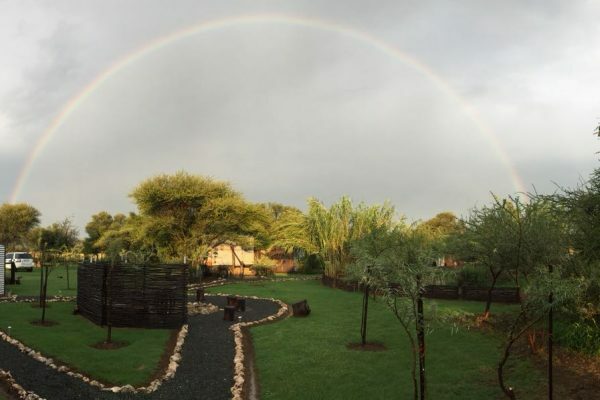 Set in a game camp at a waterhole with Lechwe and Bontebok as your frequent guests. 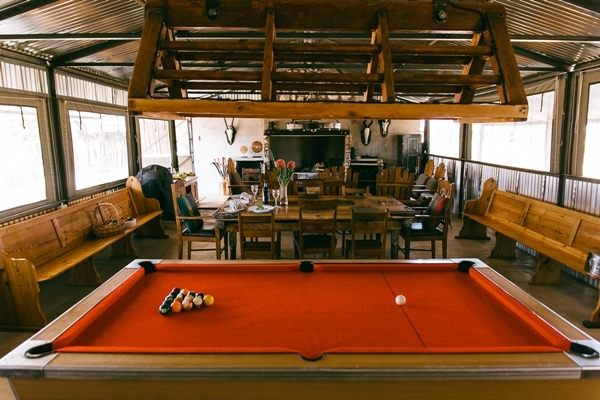 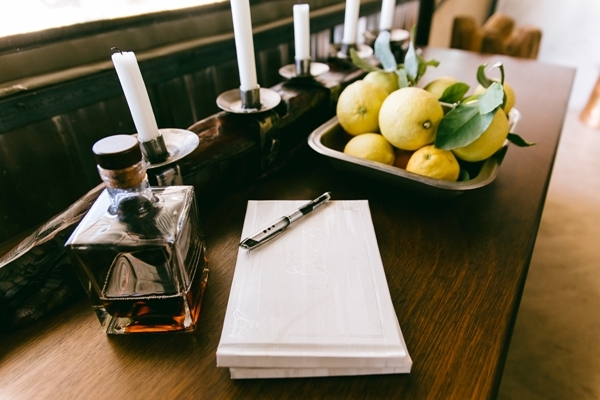 You have the luxury of Solar Energy providing power for daily household needs. 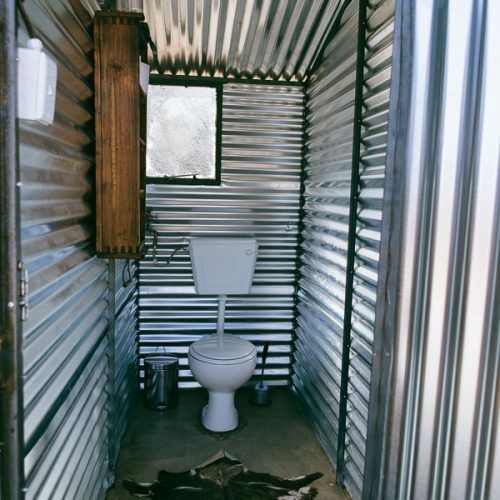 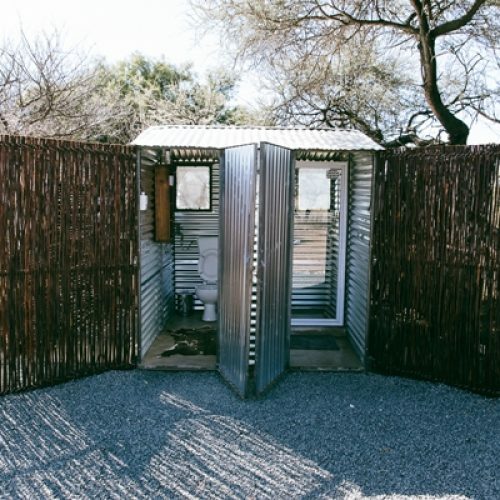 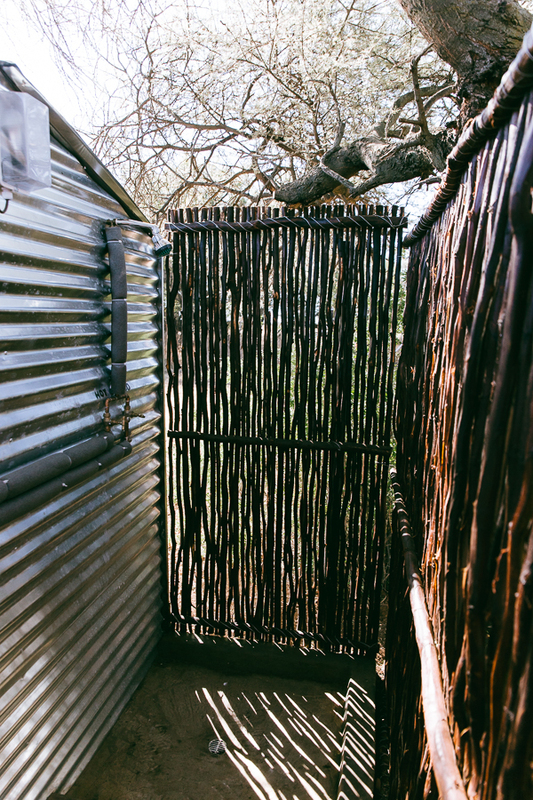 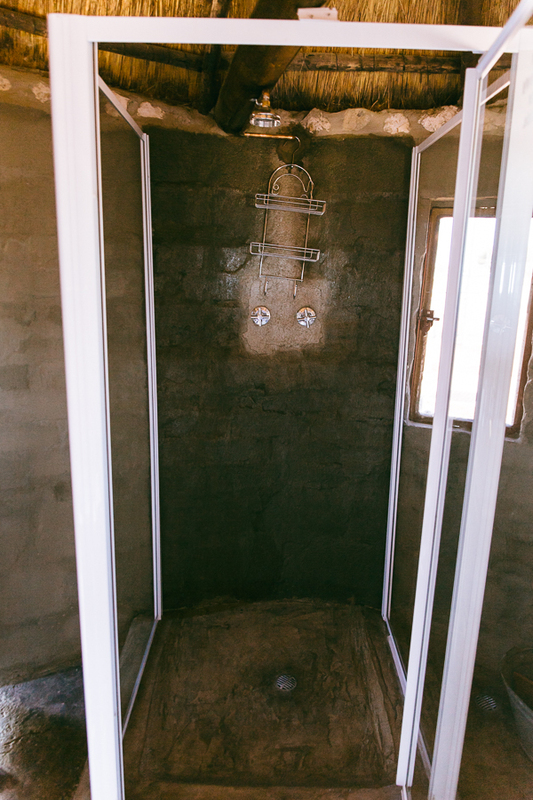 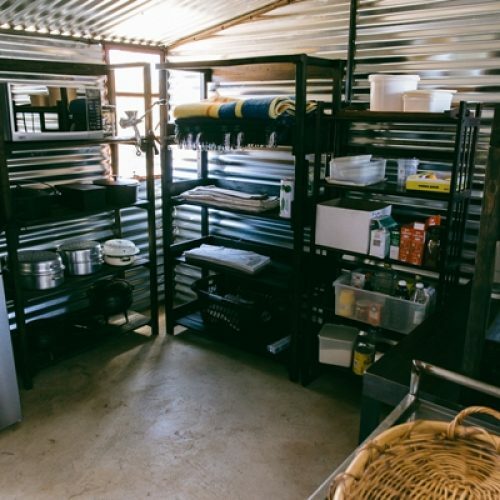 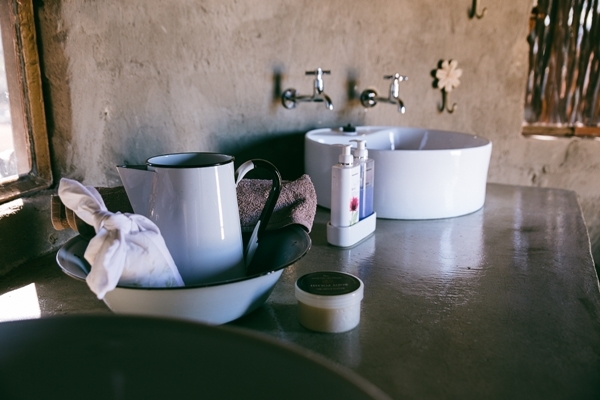 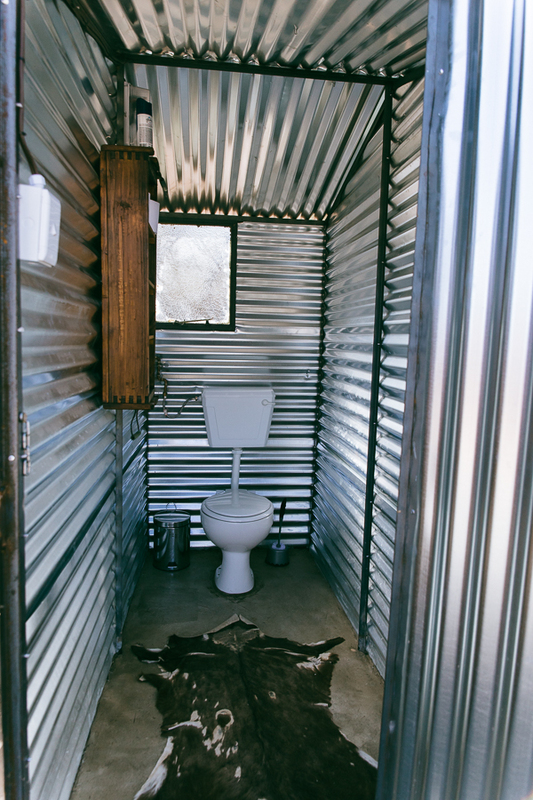 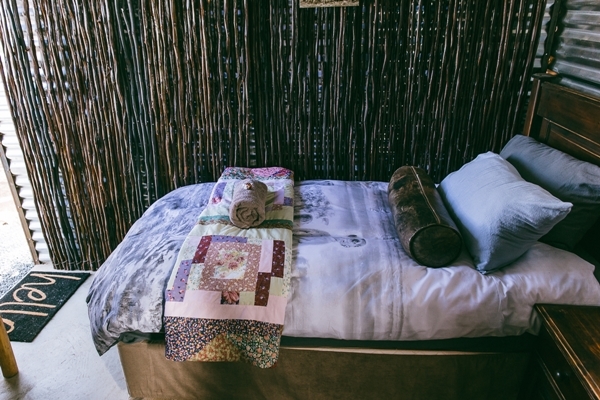 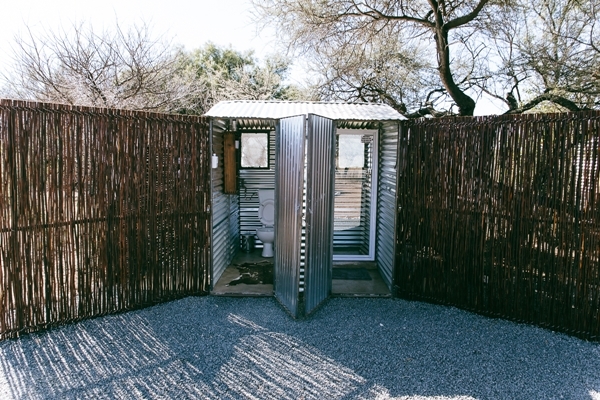 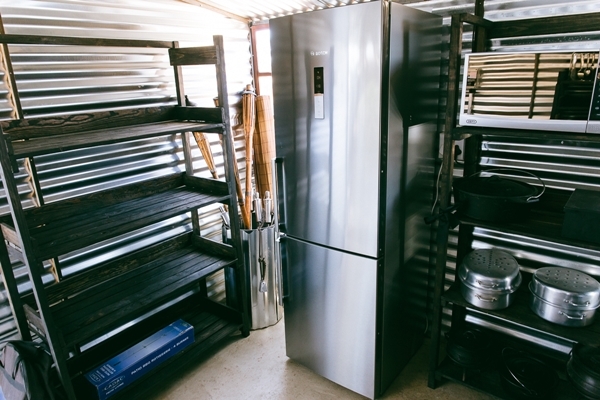 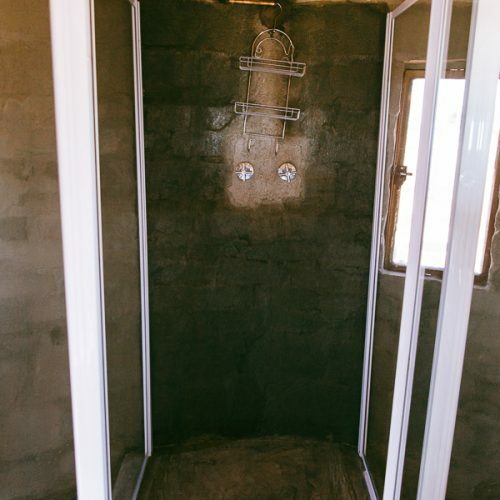 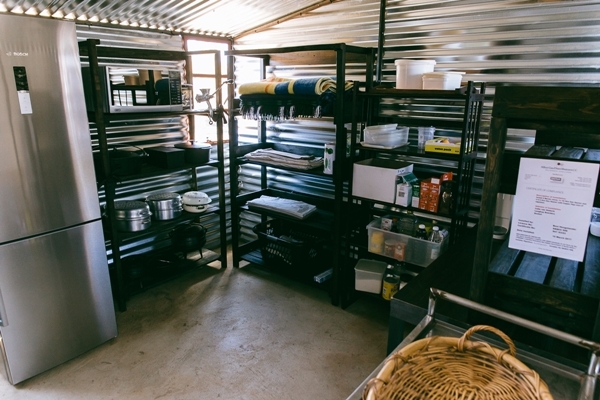 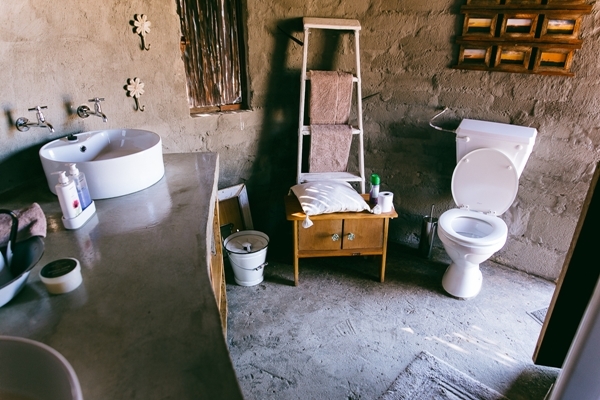 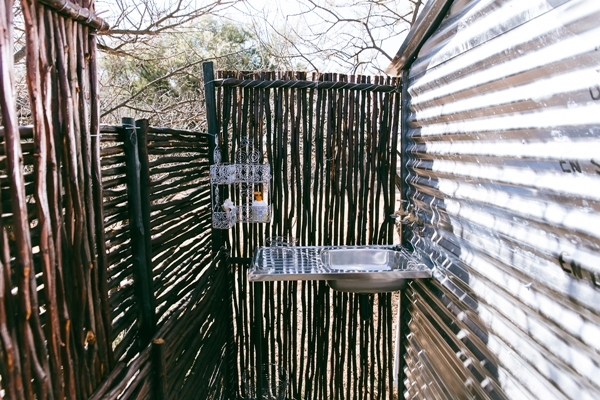 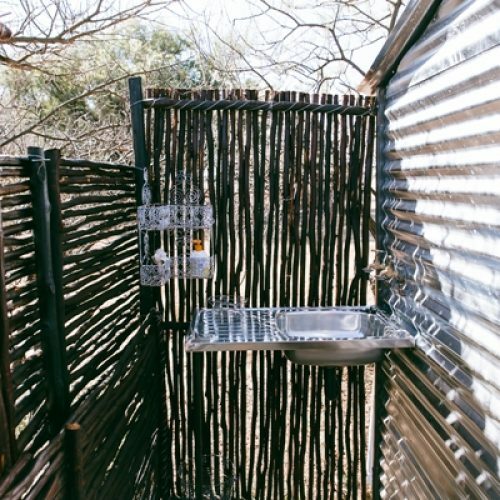 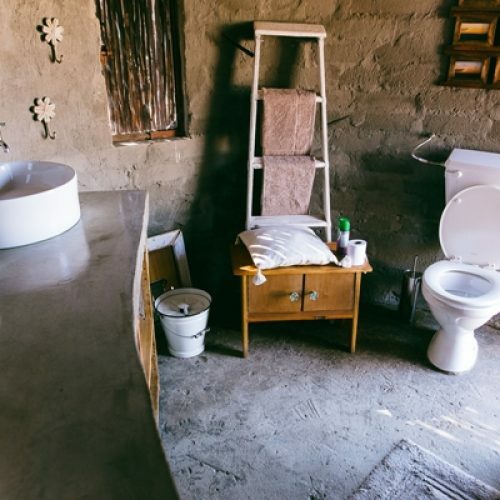 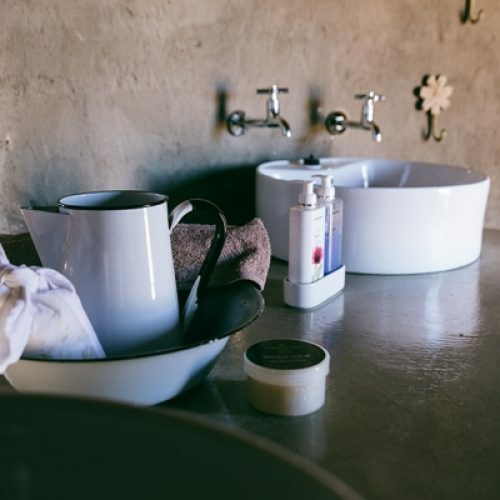 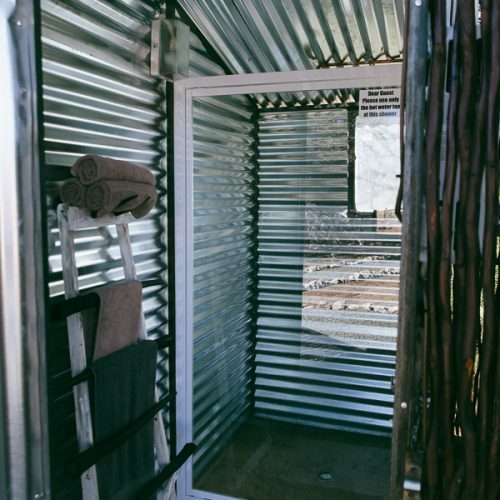 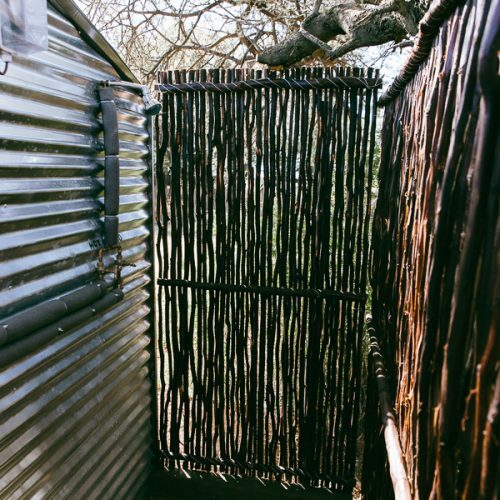 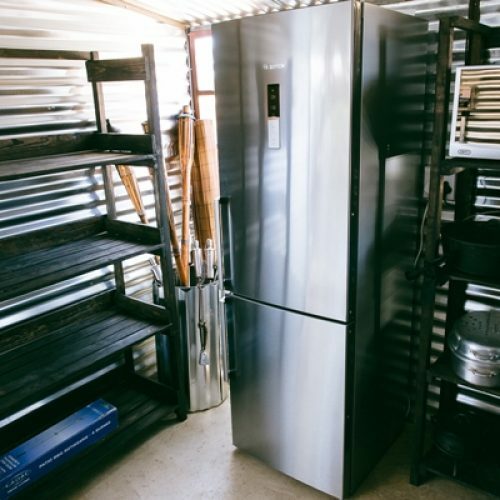 Two fully equipped bathrooms provide you with hot water and all else. 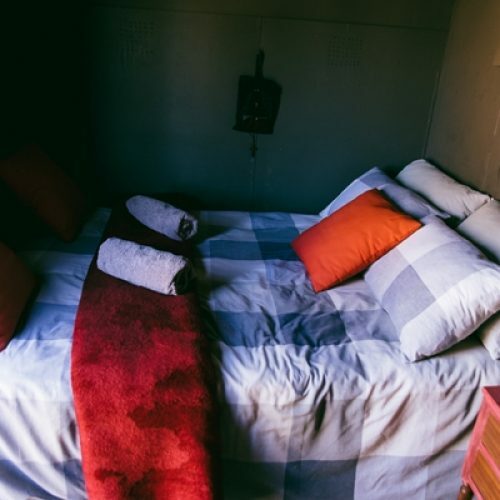 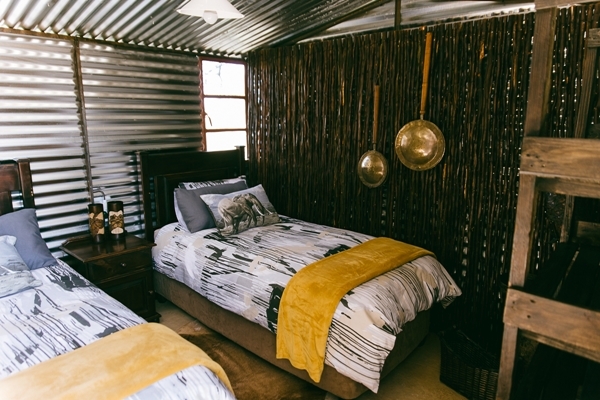 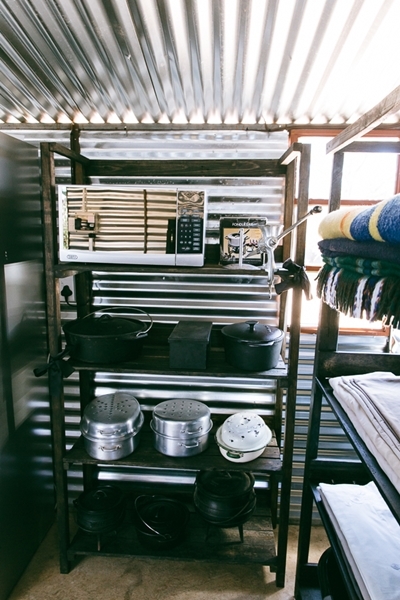 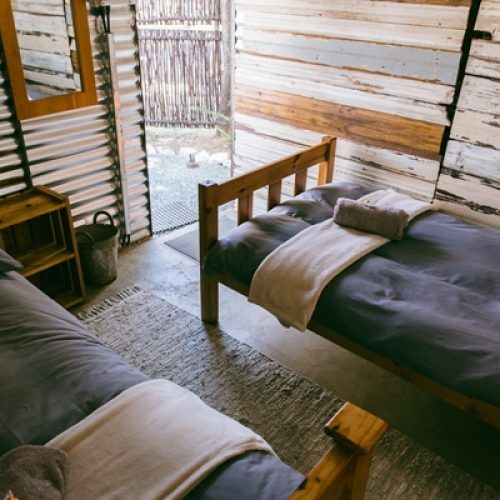 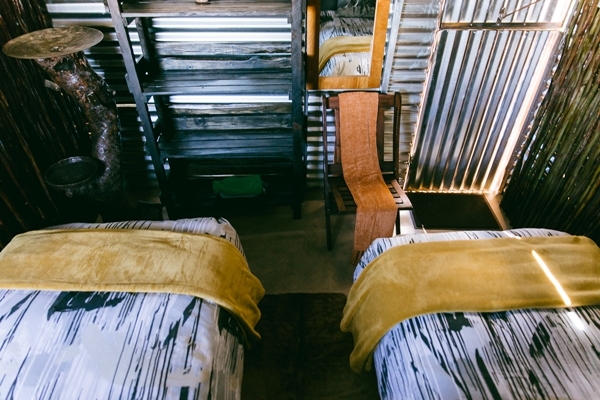 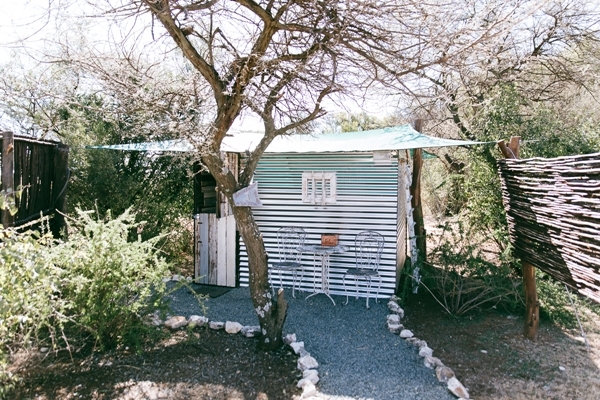 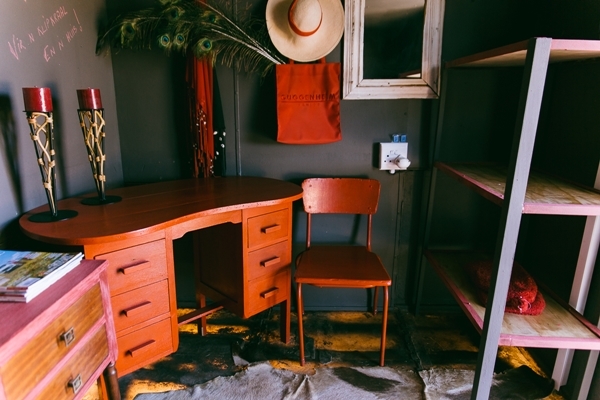 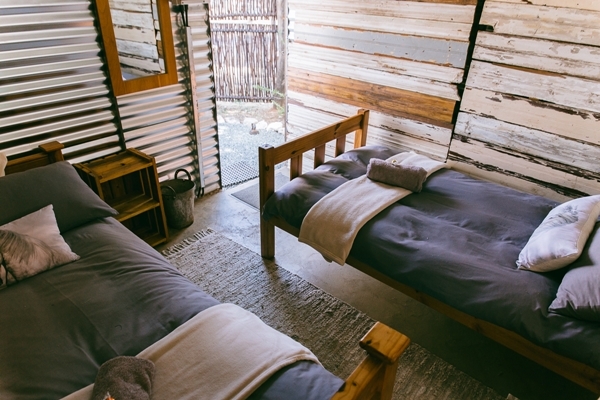 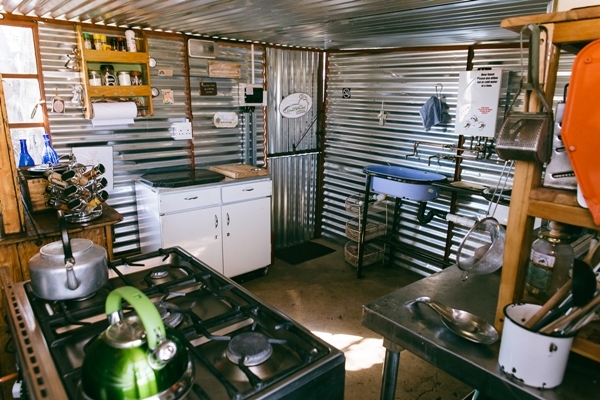 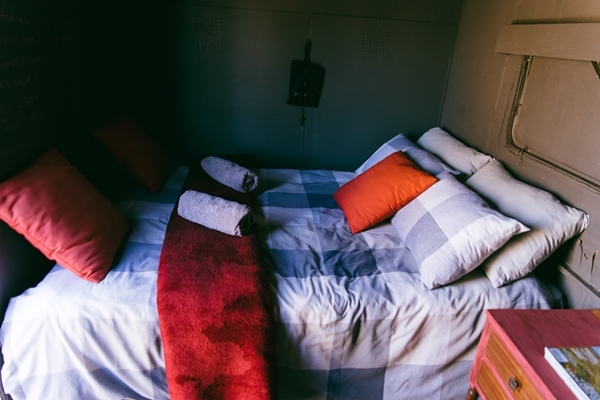 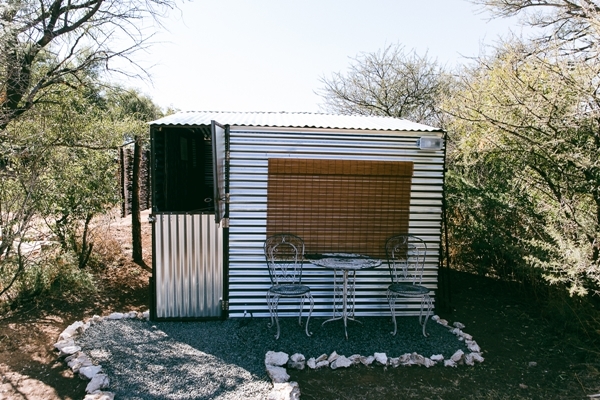 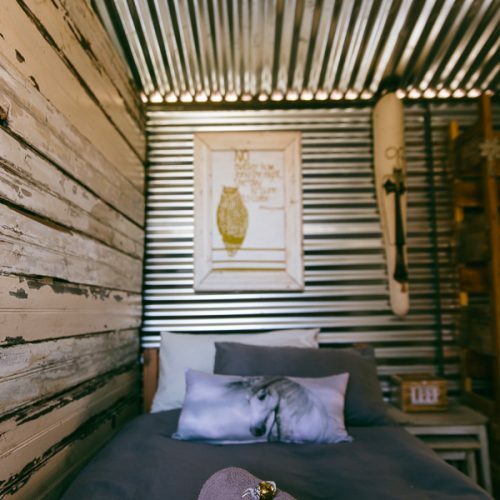 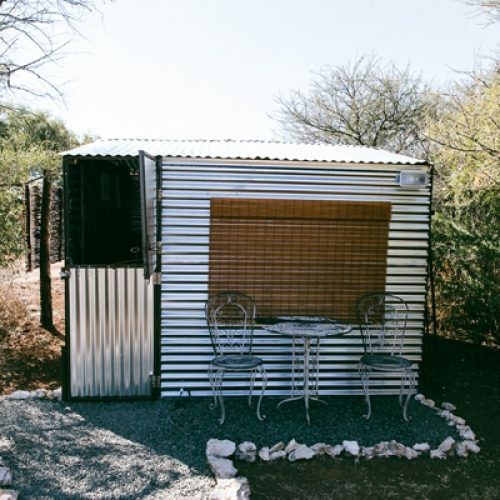 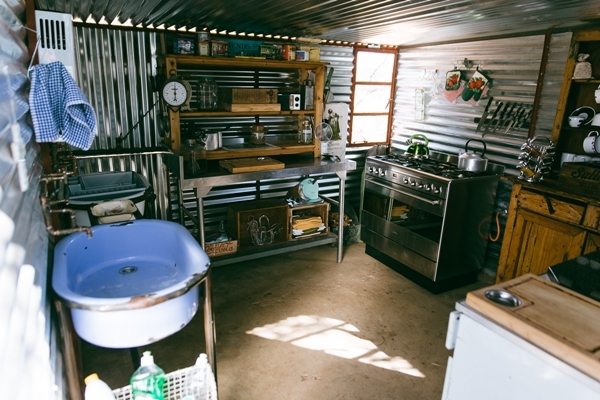 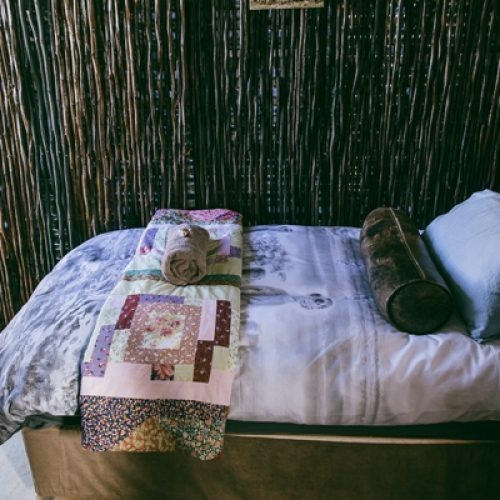 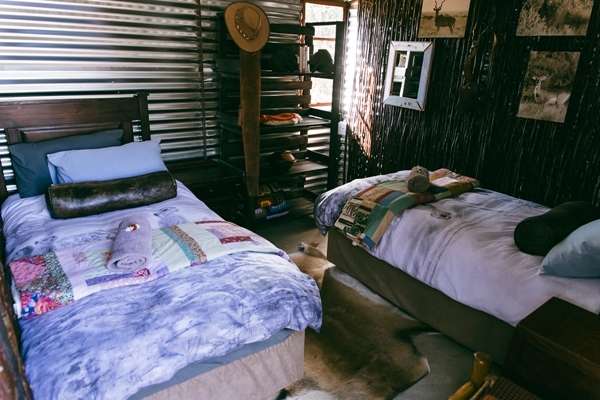 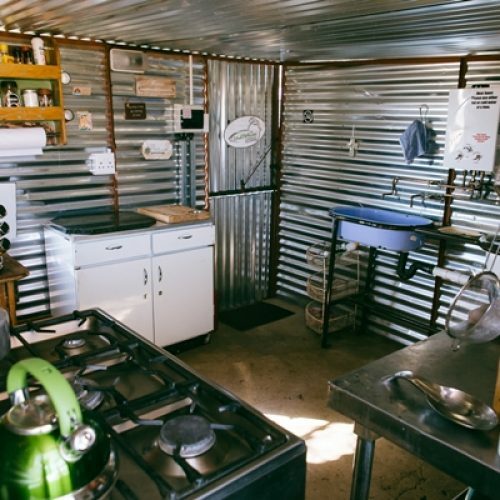 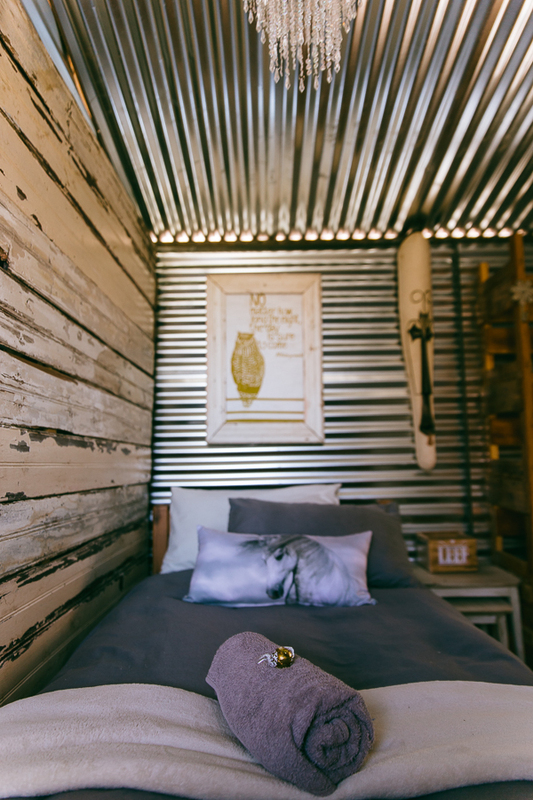 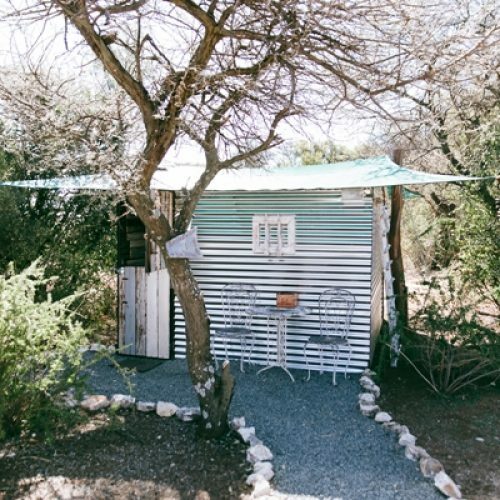 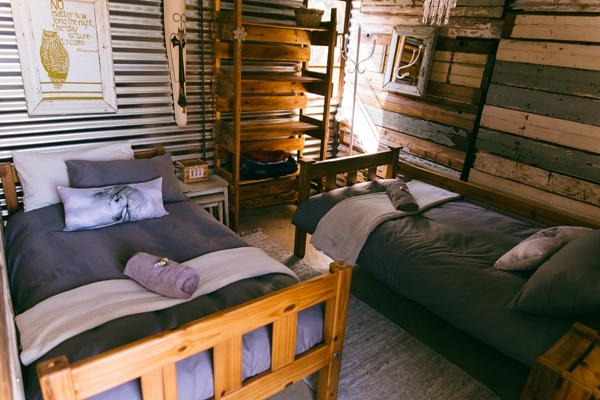 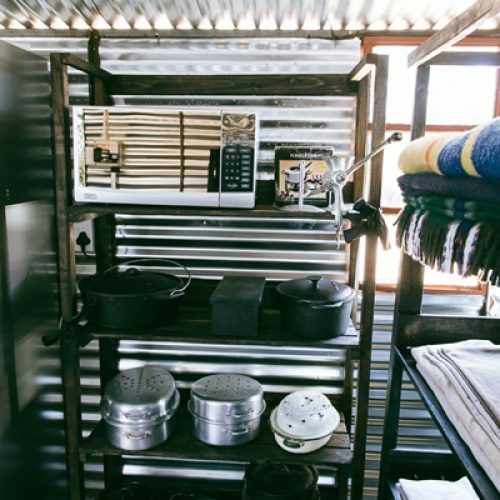 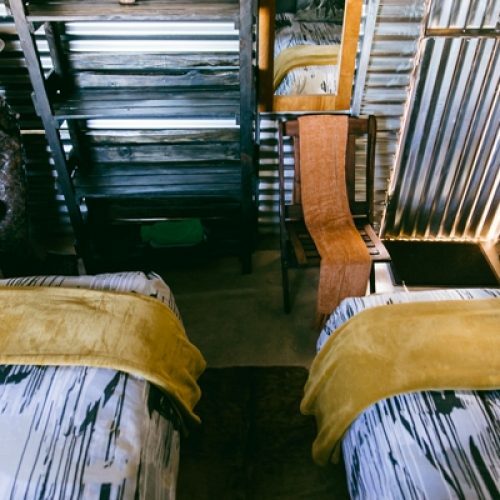 Our accommodation in Shanty Town sleeps 8 (4 Separate Shanty-like units) @ R350 per head per night (Self-catering). 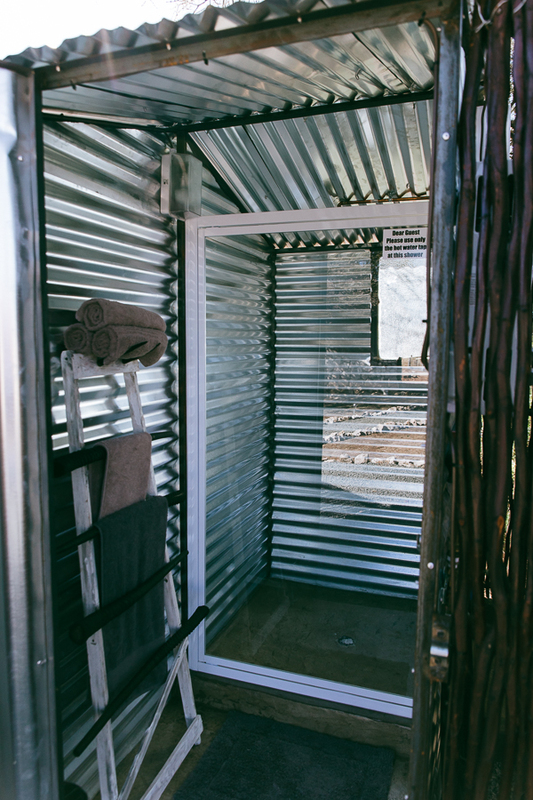 Supply only your own towels. 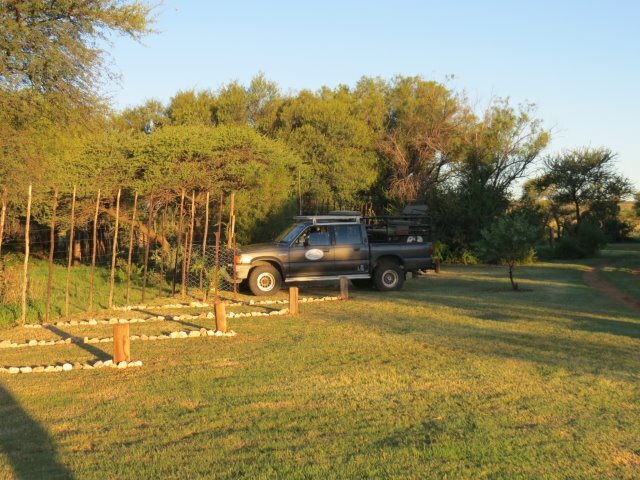 First bag of wood included and thereafter available at R 15 per bag. 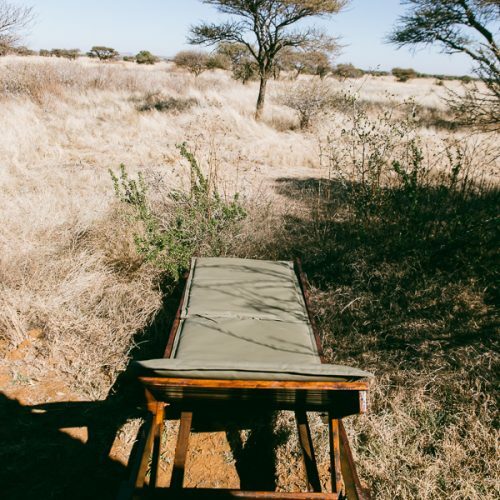 You have the added benefit of a full time butler on the premises. 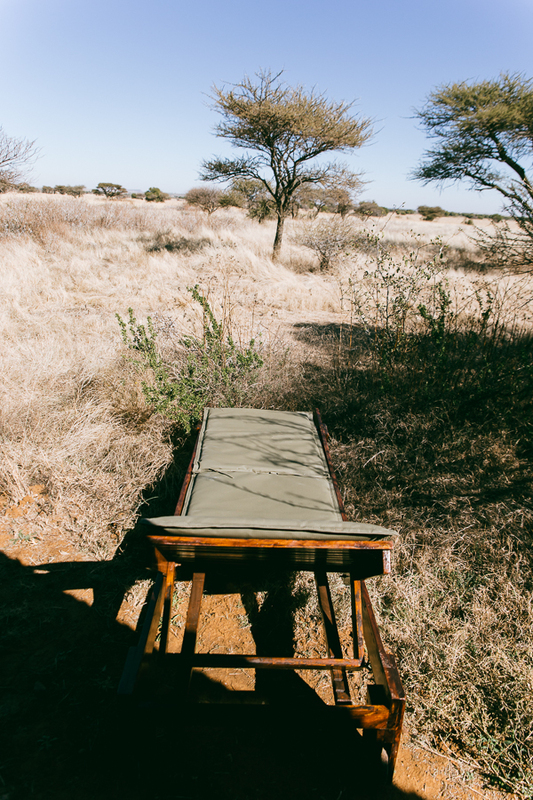 We regret: no camping facilities available. 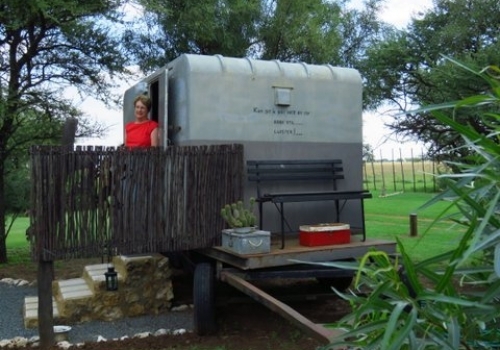 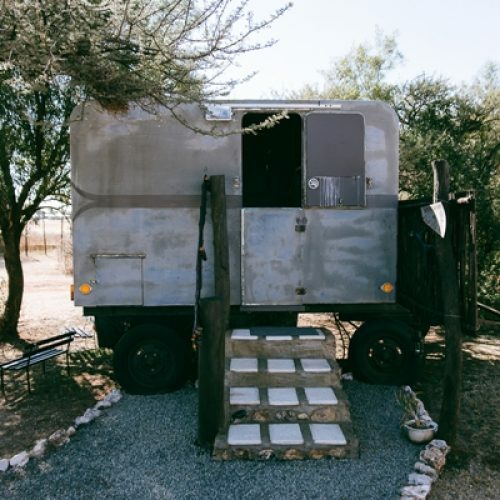 Should you wish to use a camper – the same rates however will apply. 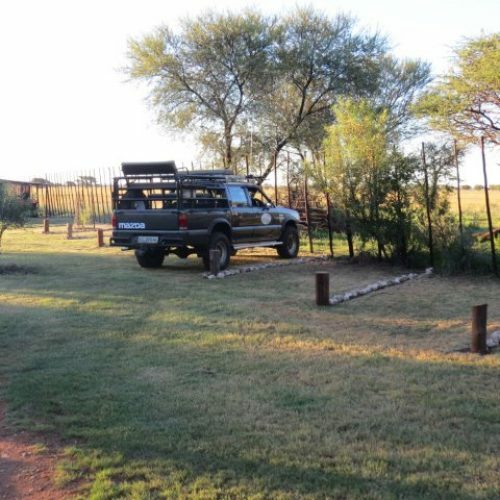 Guest parking – we need guest parking to be able to qualify for an authorized road sign approved by Department of Roads. 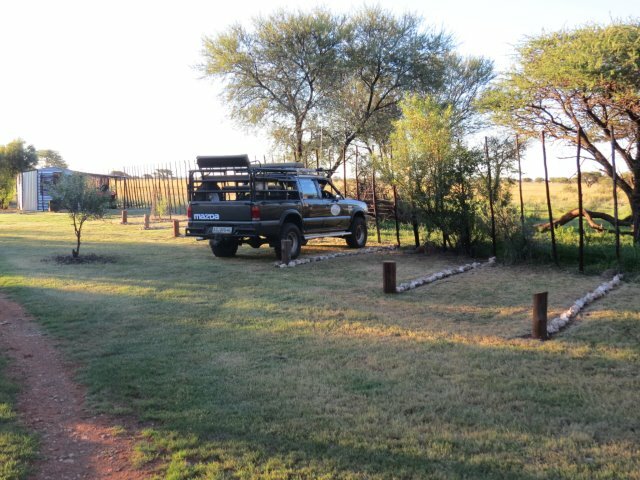 We are being assisted with the application by Mr Theuns Shields of Department of Roads.